The rub on this leaves a mildly spicy coating on the meat – none of the individual flavors stands out by itself – they all mingle and create a great flavor that leaves you coming back for more. In a skillet mix the 3 seeds and cook on medium high for 3 minutes or until toasted and fragrant, being sure to stir constantly then cool completely. Using a coffee grinder, pulse seeds to a fine powder and then combine with tomato sauce, chili paste, oil, garlic and chili powder, salt and pepper. Spread the spice mix over and refrigerate 2 – 4 hours. 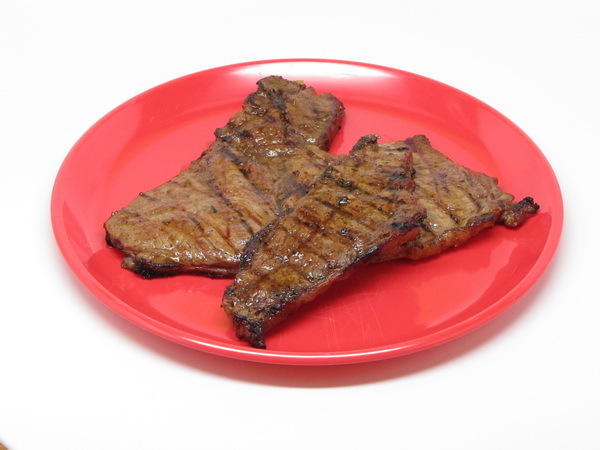 Grill meat 20 minutes or to desired doneness. Remove from heat, tent with foil and let sit 10 minutes before slicing. What a great goulash ! 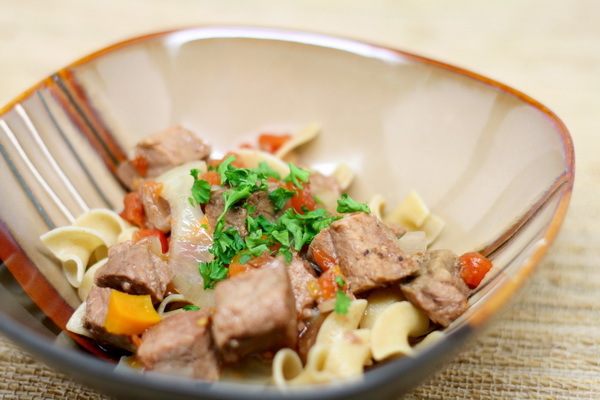 The caraway flavor is mild, yet it really steals the show and makes this a great tasting goulash. Place beef in the crock pot. Crush caraway seeds in an herb grinder or with the back of a heavy pot. Mix crushed seeds with paprika, salt and pepper and sprinkle on the meat pressing the spices into the meat so they stick. Add onion and pepper to a skillet sprayed with Pam and cook 5 minutes. Mix tomatoes, broth, Worcestershire and garlic and add to pan and bring to a simmer. Pour into the crock and then place the bay leaves on top of the meat. Cover and cook 4-5 hours on high or 7-8 hours on low. Discard the bay leaves and then add the cornstarch mix and cook on high 15 minutes to thicken the sauce. Garnish with parsley and serve with optional whole wheat egg noodles.